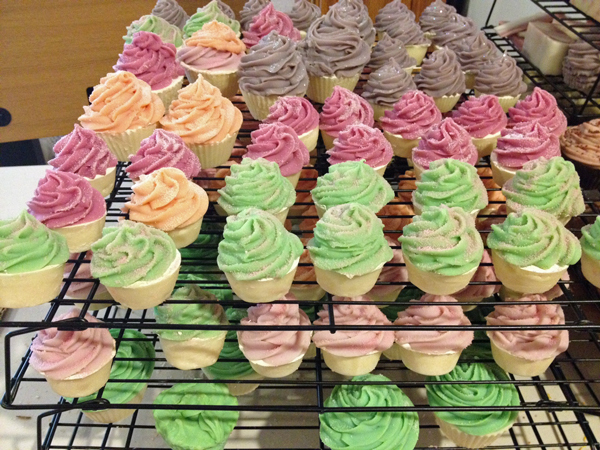 Alaiyna B. Bath and Body: New Cupcake and Mini Cupcake Soaps! 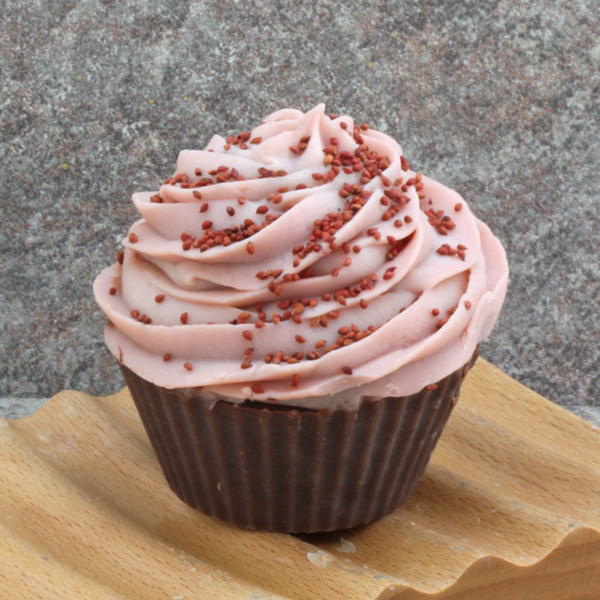 New Cupcake and Mini Cupcake Soaps! 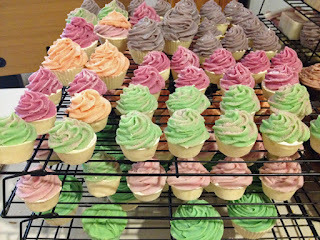 My cupcake soaps have been such a big hit that I have had to replenish my supply. Just listed a new batch of strawberry vanilla and raspberry lemon and coconut lime still on the curing racks. 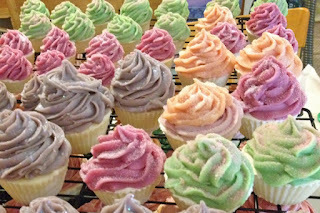 I have had several requests for mini cupcake soaps too and those are also still on the curing racks for a few more weeks. I have the mini cupcakes in an uplifting citrus scent in multiple colors and a blueberry lemon verbena. Some have jojoba seeds or dried cranberry seeds sprinkled on top and others have a dusting of glitter for a bit of sparkle. These soaps are wonderful and should be used as they create a great cleansing lather and are perfect for shower or bath. Kids love them too! They make great gifts and the mini ones will also make great wedding or baby shower favors. While a few are listed now, more will be available in my three shops very soon. I simply further up your RSS feed to my MSN News Reader. Seeking forward to studying more from you later on!